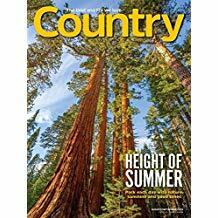 Country Magazine offers a relaxing 'escape' to North America's most scenic glossy color photos in each issue. Readers will enjoy Country's beautiful country scenery and features about fascinating country people. Celebrate the people, places and stories that make country life so special.